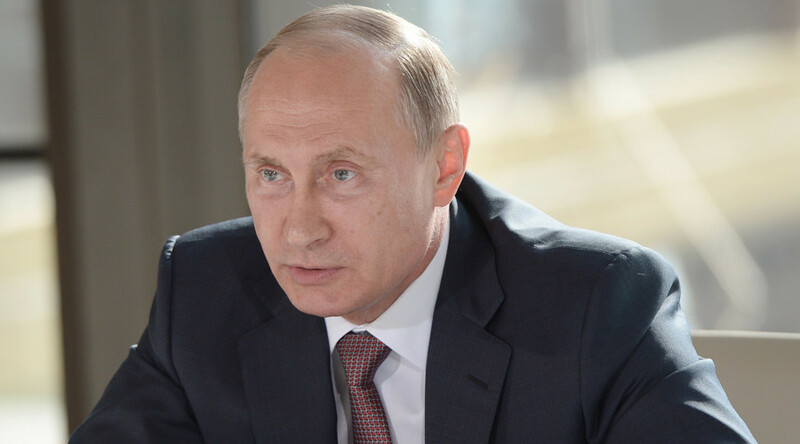 President Vladimir Putin has voiced issues with the current situation around Crimea, pointing out at a continuing threat from “foreign forces” that try to play on the “justified concerns” of local residents in order to destabilize the peninsula. “It is obvious that a persistent threat still comes from foreign forces who are trying in one way or another to destabilize the situation on the [Crimean] peninsula," Putin said as cited by RIA Novosti. The president attended a meeting on Crimean security in the port city of Sevastopol on Wednesday. The president also called for “measures aimed at the reinforcement of customs control and other kinds of control at check points,” according to TASS news agency. The president’s speech was gesturing at the prevention of drug trafficking and the importation of banned products. Putin arrived in Crimea on Monday. During his trip, he had time to take a ride in a submersible to an ancient sunken ship beneath by the waters of the Black Sea, as well as discuss a new concept of Crimea’s national policy with regard to ethnic and cultural communities. Meanwhile, Russian Foreign Minister Sergey Lavrov said Wednesday that Putin is planning to take part in in the upcoming session of the United Nations General Assembly, which is set to open on September 15 in New York. According to Lavrov, if the White House sends a request for Barack Obama to meet the Russian president, such a request would be considered in a constructive manner.